The first post in my promised series on Paul Scott is about the Raj Quartet. Not the novels themselves, but their covers. I make no apology for the niche topic. It may be of interest to you if you’re a Scott obsessive, an amateur bibliographer or a book design geek. If you’re none of those things, I won’t be offended if you decide to skip it. The most frequent argument I have with my girlfriend is over the monarchy: her passionately against, me vaguely in favour, but provoked into a stronger defence by her attacks. The latest outbreak of our perennial debate started with this amusing but flawed diatribe by Tanya Gold in the Guardian. As republican rants go, it’s one of the least convincing I’ve read. I want to talk about Paul Scott. If you’re thinking, “Who’s Paul Scott?” don’t worry. You’re in the typical majority. If I say, as I usually do, “he wrote the Raj Quartet – you know, The Jewel in the Crown,” you might now be experiencing a tiny flicker of recognition. 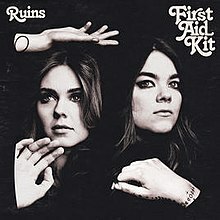 You’ve at least heard of the title, and can guess it’s about British India, but you don’t know any more than that. If you’re a bit older, you might be doing better, remembering the 1984 TV series. But that’s about as far as it goes for most people. Even among the educated and well-read, he’s now faded well into obscurity. That seems a shame for someone who was both a Booker Prize winner and the author of an acknowledged masterpiece of historical fiction, the Raj Quartet. Those are the relatively objective claims. Personally, I would add a few more. Firstly, that the Raj Quartet is the definitive literary statement of the final days of British rule in the subcontinent, a time of epochal political and social change, and therefore has lasting significance. Secondly, that he is a writer of astounding psychological insight and depth, on a par with more widely recognised writers of human drama such as D. H. Lawrence. Thirdly, that even his now totally forgotten earlier novels are works of brilliance, worthy of greater attention. 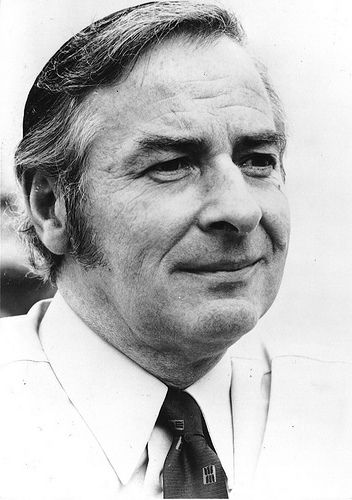 In short, I believe Paul Scott is one of the most under-rated British writers of the 20th century. Over the next few weeks, therefore, I’ll be writing a few more blog posts about Scott and his works. Please keep reading. I haven’t set myself any particular target with regard to the frequency of posting to this blog. 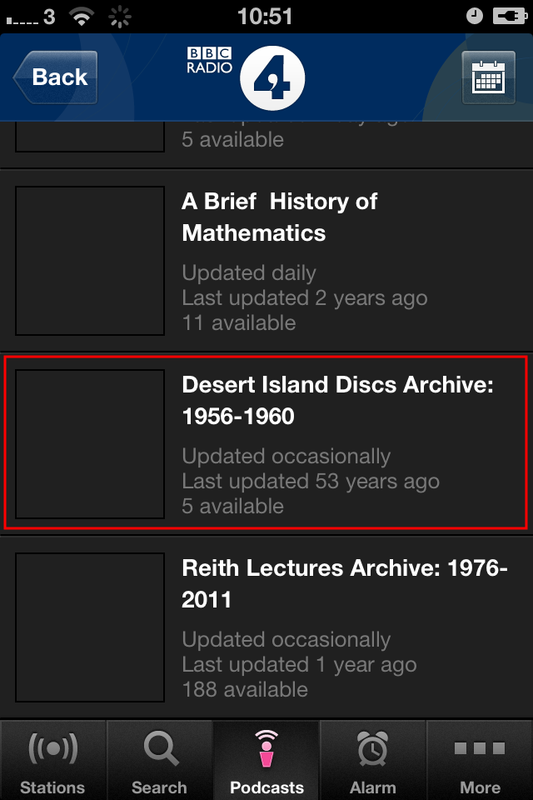 I hope I do better than the Desert Island Discs archive on BBC Radio iPlayer though. I’m a huge David Lynch fan. Mulholland Drive‘s one of my favourite films. Lost Highway, Twin Peaks and The Straight Story are up there too. I even love Dune, despite it being regarded as sacrilege by most fans of the book, of which I’m also one: I just treat them as two totally separate works of art, each with their own merits. And Eraserhead, oh god, Eraserhead. I’ve been hooked ever since I saw it as a teenager, and had my mind permanently blown. Which, while I’m on the subject, should be a forced experience for everyone at that impressionable age. Even if they don’t enjoy it, and most wouldn’t, it would at least set the bar for weird, unconventional storytelling high enough in their minds that it might inoculate them from a dependence on cosy, banal, mainstream entertainment for the rest of their lives. I’d therefore eagerly anticipated Lynch’s latest film, Inland Empire… and then failed to get around to watching it for six years. I even had a naughty copy on my computer, but watching it on a little laptop screen isn’t really appropriate for the sort of immersive experience Lynch’s films usually are, and somehow it never seemed quite the right time to commit three hours of my life to its promised hallucinatory mindscrew. An item which I’ve been ranting about a lot over the past year or so, and which was scheduled for inclusion in Volume 18 of The Hate List, was the misappropriation of the internet terminology “troll” by the mainstream media. The rant seemed long enough to spin off into its own post on the new tombell.net blog. Over the past few years, we’ve heard a lot from newspapers and the like about the growing menace of “internet trolls”: nasty, ignorant cyber-bullies who hide behind the safety of their computer screens and hurl abuse and harassment at politicians, celebrities and ordinary innocent people unfortunate enough to step into their sights. Progress bars which reach the end, and then spend an indeterminately long time paused on 100% before finally completing the task. When someone, on a training course for example, lists sources of information, and one of them is “the internet”. You might as well say, “reading”. The internet is not a source. The internet is a means of communicating with innumerable sources. “Free” wifi spots which you have to register with to use. I don’t need any more username and password combinations in my life, certainly not for some random wifi hotspot I’ll never use again. Trying to spread chilled butter on cold toast. The inexplicable fluff you get in an old jar of instant coffee granules. Pillows which are too thick, so that while one isn’t thick enough on its own, two are way too thick. Most Haunted. I hate the fact that a successful prime-time programme has been made out of a premise little more convincing than your average YouTube compilation of “floating orbs” (ie. flashlit raindrops). And the fact that the analysis is on a similar level to YouTube comments. I hate the fact that for all the spiritualists, mediums, “parapsychologists” and other spurious experts featured on the programme, not one sceptic is interviewed to point out that nocturnal creaking in an old house can have a perfectly natural explanation. I hate the fact that no-one ever acknowledges or even mentions the possibility of mundane physical phenomena, tricks of perception and imagination, mass hysteria, or plain old deception by the “experts” profiting from the show. And even more than I hate Derek Acorah, who is a shameless fraud and liar, but at least knows what he’s doing, I hate the heifer-eyed credulous moron, Yvette Fielding. Uri Geller, an unashamed, unrepentant fraud. Look into his eyes, and you will see a cold, empty vacuum. They are the eyes of a man who has lived by lies all his life, and who knows that his entire career, fame and fortune are built on nothing but foul deceit. He is a common scam-artist with pretensions of grandeur, a corrupt, dishonest little worm, and we shouldn’t stand for him any longer. Ignore him. Encourage everyone you know to ignore him. Don’t watch any programmes with him on, don’t buy any magazines with him in, boycott him until his snivelling little lies no longer get him any money or attention. In the name of truth, and the good of society, he must be crushed without mercy.